Last Friday, the Grade 4 students hosted a Film Festival. We invited studens, parents and teachers to come to our premiere. 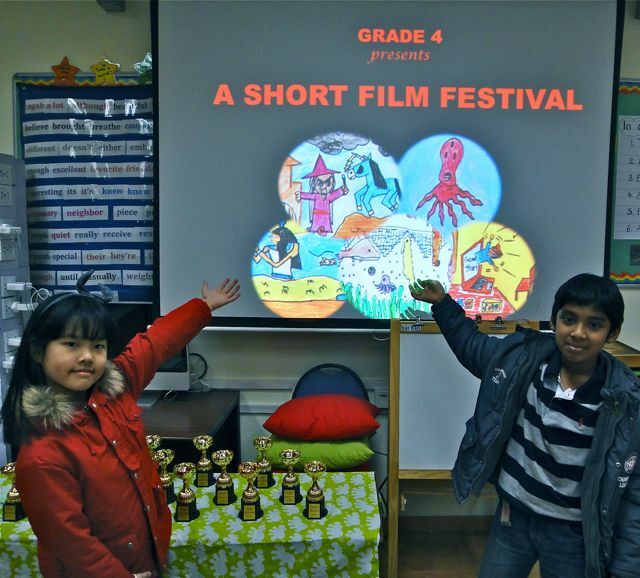 We screened 5 amazing digital stories, made by us! Blaze Saves The World, A Magical Adventure, Monster Challenge, Underwater Adventure and Aliens Attack. We also provided snacks for the audience to enjoy while watching our short films. was Editing in iMovie. We had to make sure the images and soundtrack matched perfectly and it was very frustrating. Finally, the audience voted for the People’s Choice Award. And the winner is….A Magical Adventure! (You can watch this favorite story below). All out other stories will be on our wikis soon. We would like to thank Mr Papasiet for helping us and teaching us all about iMovie and Garage Band. My favorite stories were Aliens Attack, Underwater Adventure and A Magical Adventure. The Aliens Attack was so funny because the sounds were very clever. The Underwater Adventure is also great because the setting is very nice and the soundtrack is also very beautiful. A Magical Adventure is nice but is not funny but is very good because the characters are interesting. I like our stories! Shannon O'Dwyer is a passionate educator. She has over a decade of classroom experience, both in international and Australian schools. Shannon implements carefully differentiated pedagogy, with the principles of understanding-by-design, inquiry-based learning and constructivism at the core of her practice. She has leadership experience in Literacy, ESOL practices, Enrichment and Technology Integration. 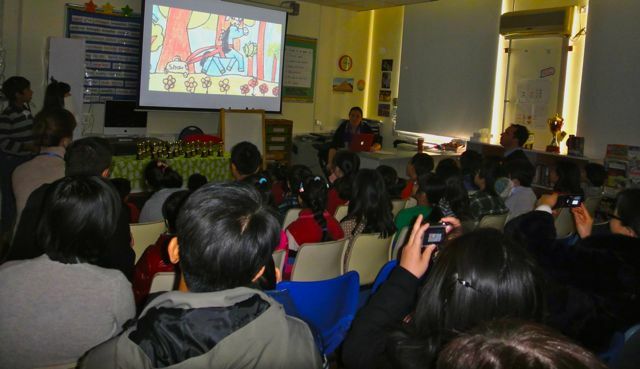 Most recently, Shannon was the Elementary School Principal at Beijing BISS International School. She is currently pursuing postgraduate studies at the University of Sydney. Shannon loves working in education, where the days are filled with discoveries, laughter, problems and questions of young minds. Copyright © 2019 Shannon O'Dwyer.